In a previous post I discussed using model texts like short stories, poems, and non-fiction as model texts for writing suspenseful stories. 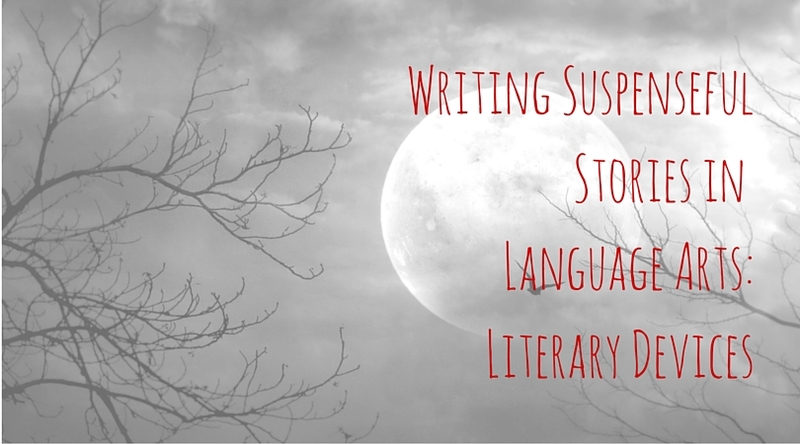 In this post I’ll address using suspenseful story writing to teach literary devices. In the final post I will cover how we write the story. Before that, however, here’s a YouTube clip that helps students understand how suspense works. It’s the famous scene from Jurassic Park in which the T. Rex attacks the children in the car. You get to see the clip with the suspense edited out and the original clip from the movie. I encourage kids to pay attention to their body as they watch it. They should “feel” the suspense in the longer clip. It’s an effective example of how you can withhold information from your audience – in this case, what the T. Rex looks like. 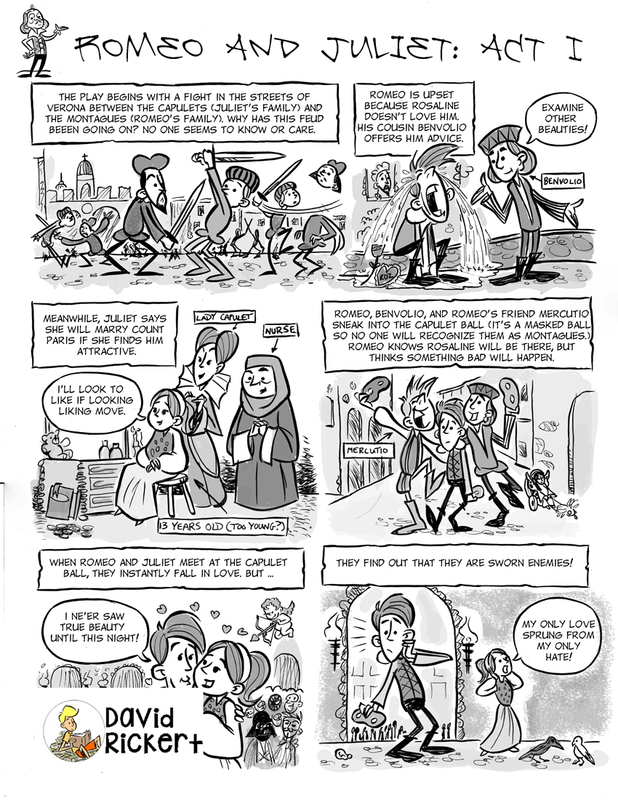 Now I’d like to share a few strategies I use when I teach “The Storm” – in this case, personification and flashback. Pauses on microscopic details around the points of highest intensity. Presents the character with a kind of choice or challenge and helping us to wonder how the character will decide. Makes you wait for the outcome longer than you want to. Also mark instances of physical reactions to situations described by the author. After students read the story and discuss it, we look at the use of personification to describe the storm. I give them an example: “The wind shook the house in its giant grip.” They then find three more examples of personification from the story. They then write their own sentences describing a storm using personification so that they start to use the device in their own writing. You could, of course, do this with any literary device (similes and metaphors would be good candidates) with any story you choose. The reason why I asked them to take note of physical reactions will be covered in my next post. The next thing we address is flashback. Most students can tell you what a flashback is, but they may not be able to write one. For the story I ask them to pick a point in the story where they would like to include a brief flashback and write one. They may provide more information on why the woman is so scared, or they may want to explore the husband’s past or their relationship. Whatever they do, it can’t just be a character remembering something, nor can it be part of the story simply told from another character’s point of view. If you would like the worksheet that I use for this part of the assignment, you can get it right here: Personification and flashback–The Storm-. Finally, I always want my students to know how to use dialogue and punctuate it correctly. For this I use Calvin and Hobbes cartoons and have them recreate them as dialogue. Gocomics.com has Calvin and Hobbes strips you can use.